WOW! American Dj did it again! A bright strobe that changes colors. 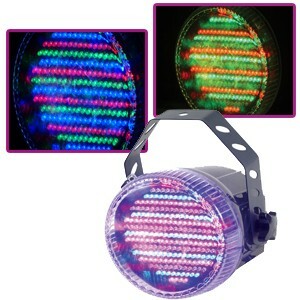 This strobe is sound activated and has many built in programs. 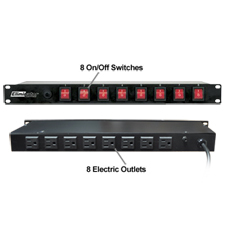 Best of all it can run stand alone or be controlled by any DMX 512 Controller. It uses 3 DMX channels for RGB color mixing. LED Advantages: long life bulbs, low heat, low power consumption, no UV emissions. Size (LxWxH): 6.5” x 8.5” x 11” Weight: 5 lbs.